The World Cup open loop, variable displacement piston pump is of a proven, rugged, and reliable design. It has been in service for more than 23 years and has the heart of its older brother, the Denison Gold Cup closed loop, variable displacement piston pump. The Gold Cup pump has been in service for more than 38 years and is still in production today! 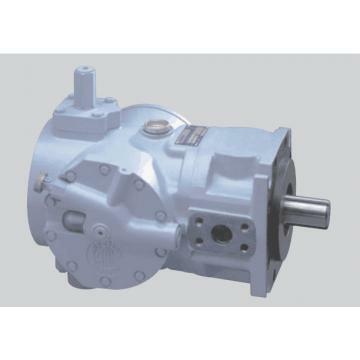 These pumps have advanced pumping and control concepts that result in an overall efficiency of better than 90% and also lend them to perform well in demanding high pressure applications with high frequency duty cycles. The Worldcup P8W Pump produces 6 cubic inches of fluid flow for each of its shaft’s rotations; so, at 1,800 input RPM its output flow is 46.5 GPM. When operating at its 5,000 PSI rated continuous pressure, it transmits an impressive 136 horsepower! The P7W produces 7.25 cubic inches of fluid flow for each of its shaft’s rotations; so, at 1,800 input RPM its output flow is 56.5 GPM. When operating at its 5,000 PSI rated continuous pressure, it transmits an impressive 165 horsepower! With SAE standard mounting, shaft and ports, World Cup pumps are easy to install and connect. All it takes to achieve dependable service is preventative maintenance limited to keeping the operating fluid clean and cool. Hydraulic Equipment Distributor Supplier is a factory trained and authorized service center for Durafore, Linde, Denison, and Calzoni products.With five state of the art hydraulic test benches including a 400hp heavy duty bench, all repairs undergo extensive testing prior to leaving our shop and are available with a full test report.With over 75,000 hydraulic parts in stock, Hydraulic Equipment Distributor Supplier is able to provide its customers with fast turn around times.